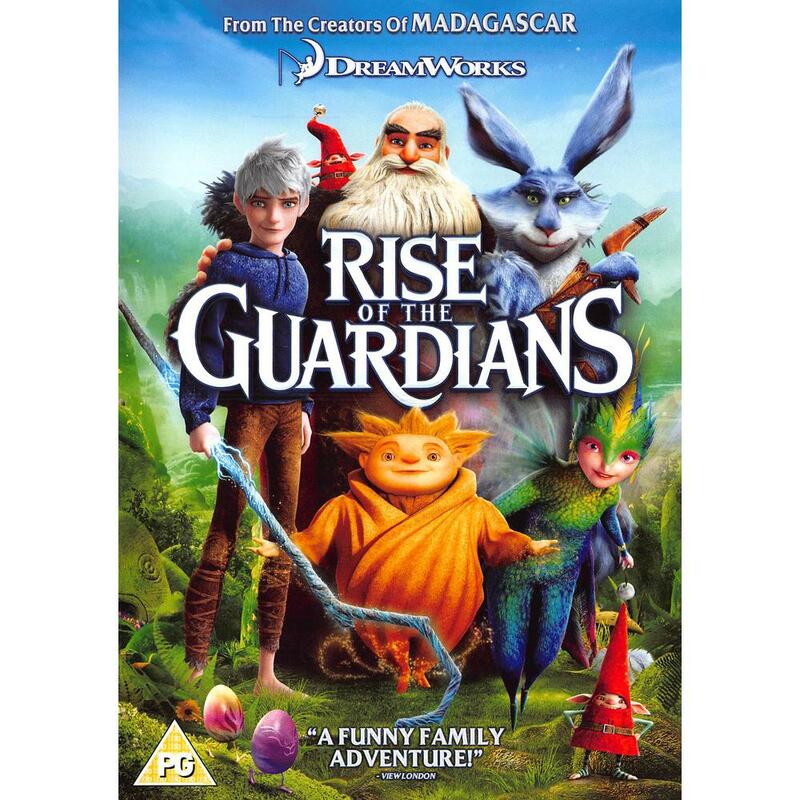 Dreamworks' newest animated adventure is a fun-filled and magical story about the legendary guardians-Jack Frost, the Easter Bunny, Santa Claus, the Tooth Fairy and Sandman-together for the first time! When the evil Pitch threatens to take over the world, it's up to our beloved heroes to protect the hopes and dreams of children everywhere. 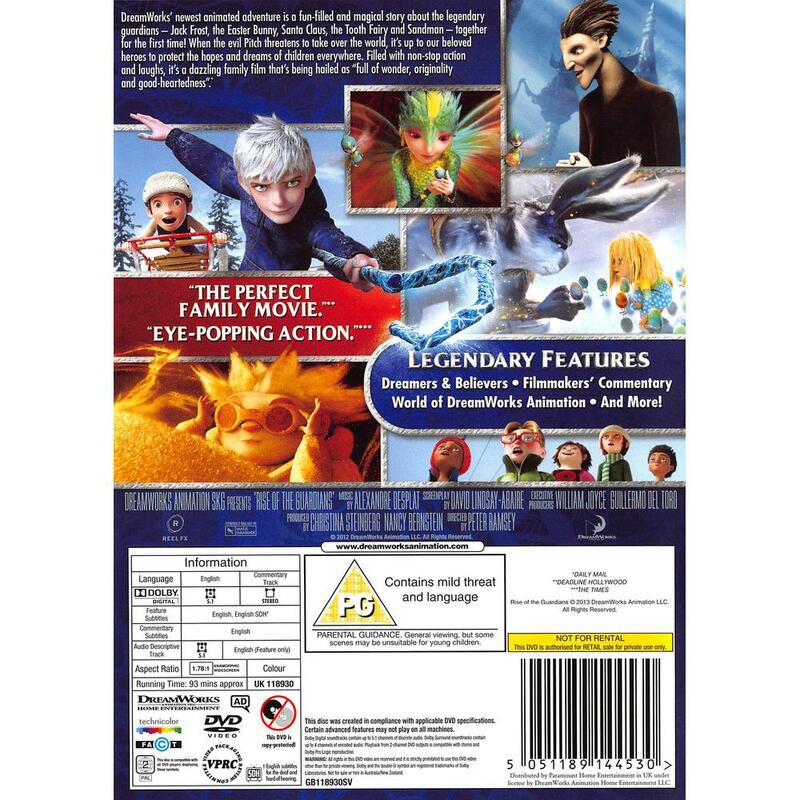 Filled with non-stop action and laughs, it's a dazzling family film that's being hailed as “full of wonder, originality and good-heartedness”.Special Features Dreamers & believers, Filmmakers' commentary, World of dreamworks animation, And more!